On January 19th at 5:30 p.m., ARHS joined hundreds of theaters nationwide, from high school companies to Broadway troupes, in awakening an age-old theater tradition aimed at creating a safe space in dark times. The Ghostlight Project seeks to establish open and creative spaces amid the current troubling political climate, where theater and the arts are undervalued. The Ghostlight Project is a national coalition of theaters that create safe spaces for inclusion, creativity, activism, and identity. The name comes from the theater tradition of keeping a single light, a ghostlight, on at all times in the theater. The tradition is meant to keep the space safe and alive even when actors, crew, and audience members are not present. Theaters who participate in The Project light a ghostlight that will stay on for the next four years, or longer if necessary. ARHS’s light is located backstage, in the stage’s left wing. Mr. Bechtold said that his goal is to extend engagement past the lighting of the ghostlight. He hopes to turn this into a longer term activism program at ARHS that works to shape a more inclusive environment. “This should not just be a flash in the pan, but a consistent presence. There’s always a way to grow and include more people,” said Mr. Bechtold. The hope was to have an initial meeting in January to discuss the future of The Project and what it could do for the school. Unfortunately, due to snow days and the musical, the meeting didn’t happen. Mr. Bechtold and excited theater students hope that it will be rescheduled for the next few weeks. Any interested students can contact Mr. Bechtold to get involved. The Theater Company at ARHS is known for its quality performances and committed members, but the group can be notoriously daunting to new members wishing to join. 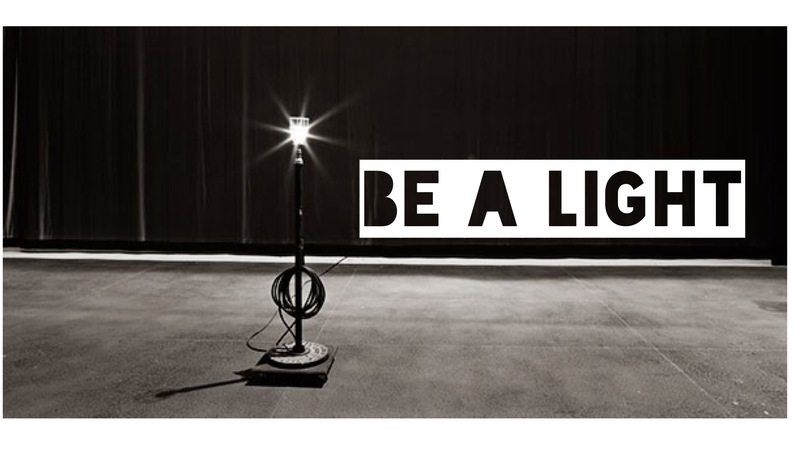 Mr. Bechtold and many of the company members hope for The Ghostlight Project to become an easy, low pressure way to be part of the theater company. Nathan Baron Silvern has been part of the theater community at ARHS since his freshman year and he thinks that being a part of the theater company is not only fun but also very rewarding. Students active in the Theater Company are excited about the possibilities that The Project holds for ARHS. Kleinman-Eddy and Baron Silvern both hope that The Ghostlight Project will help create more diversity in the theater company, both racially and socioeconomically. A major factor that prevents students from taking part in theater at ARHS can be the time commitment. Some students have to work to help support their families or have other responsibilities that prevent them from getting involved. The Ghostlight Project would be a way to get involved without giving up as much time. “My hope is that the participation in the theater company matches our [school’s] demographics,” said Mr. Bechtold. The prevailing message of The Ghostlight Project, the students and the theater company is strength in community.